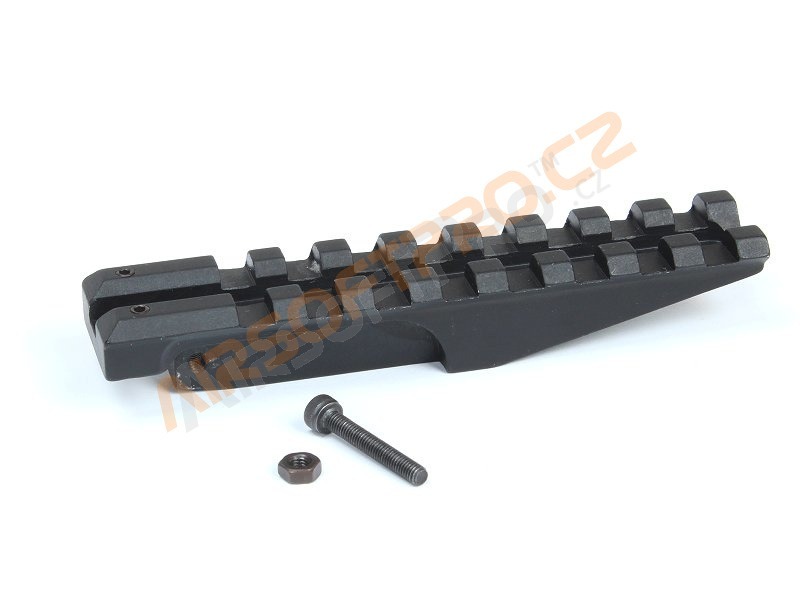 10cm long metal RIS mount. 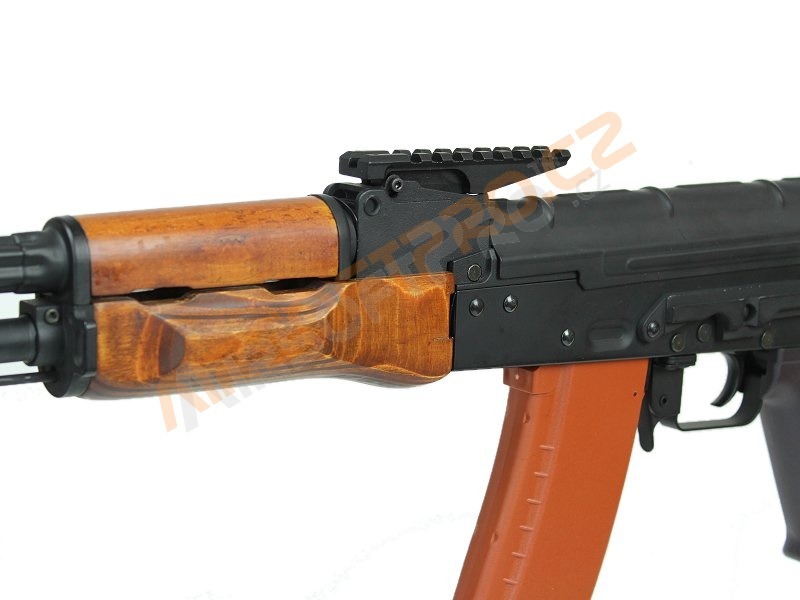 It fit on the AK74 rear sight. 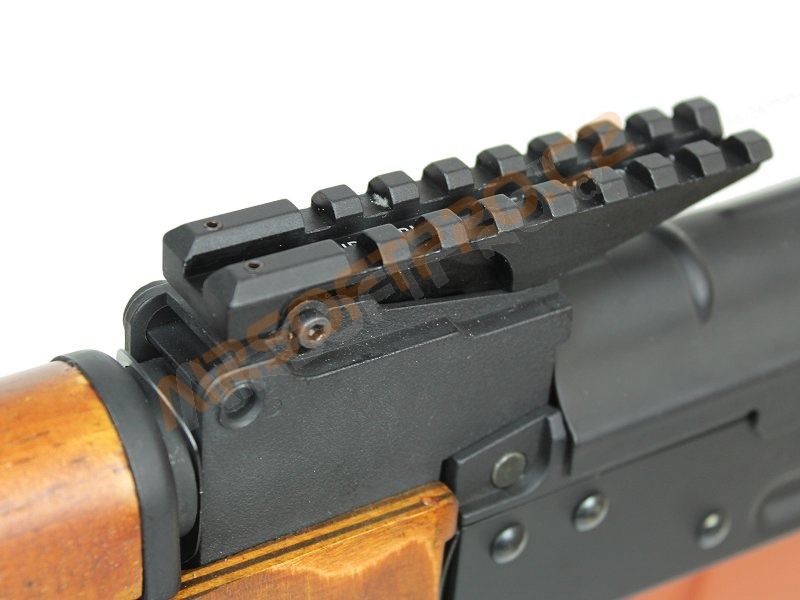 Actually instead of the rear sight. 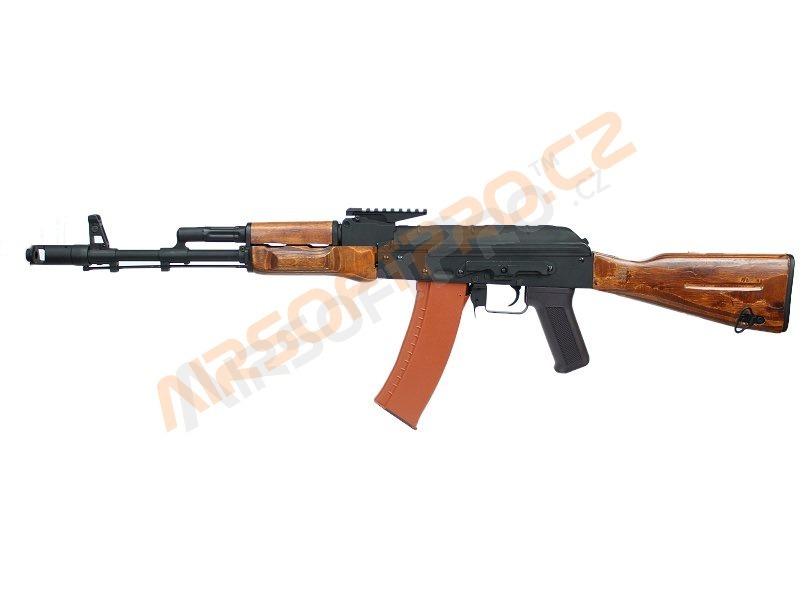 Not fit on AK47 models. No body modification required. 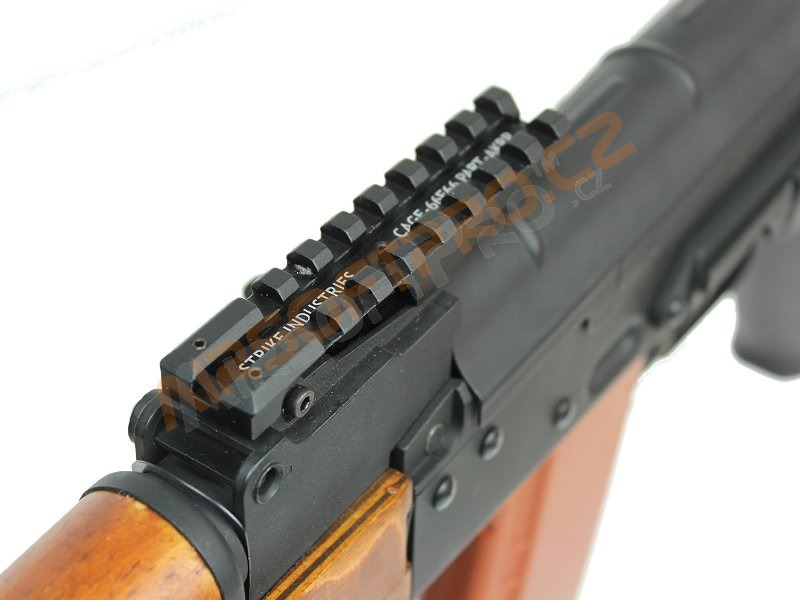 Standard 22mm RIS rail is suitable for additional accessories like Red Dot.